Cerebral palsy poses multiple diagnostic and therapeutic dilemmas. It is not only a medical and scientific issue, but also one with many social, ethical, and economic implications. 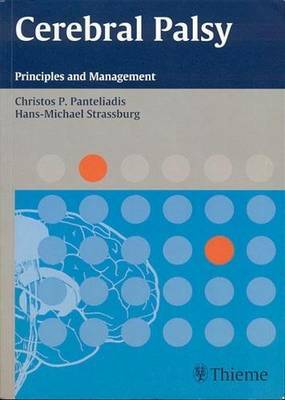 With many contributions from top European specialists, this book begins with chapters on the history and terminology, classification, incidence and prevalence, etiology, and neuropathology of cerebral palsy. Then diagnosis is covered with extensive chapters on the clinical characteristics of CP, differential diagnosis, and assessing with ultrasound, MRI, and nuclear/molecular imaging. Finally, detailed chapters provide comprehensive information on the newest treatment modalities for CP, including treatment with botulinum toxin, dorsal rhizotomy, intrathecal pharmacotherapy, stereotactic operations, and more. The book closes with chapters considering the psychological and psychosocial aspects of the condition. With its strong interdisciplinary foundation, this book is certain to be a valuable addition to the library of pediatricians, neurologists, and others who may be involved in the care of patients with cerebral palsy.